ASP Cebu Chapter celebrated Independence Day last June 12 with a Dinner Concert for A Cause. It was a relaxing night for loving people, who came in support for the chapter. To be celebrating with special children in the same event is a dream-come-true for the parents and therapists alike. Guests were unmindful of the hand-flapping and other odd behaviors of these children; since people around them are aware and understood their condition. It was not only a worry free night, but a night full of merry making and surprises. Children from REACH Center, Responsive Education for Autistic Children, awed the public with their exceptional talents on stage. They rendered classical songs chosen by their therapists. Miguel Gabriel Luna, mesmerized us with his version of “The Celts” and “I Have a Dream,” popularized by ABBA, through is flute recorder. 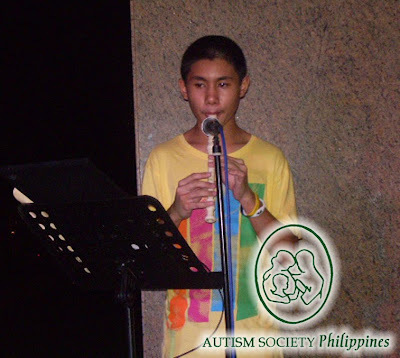 Miguel was diagnosed with autism a few years back, and is now into mainstreaming. ASP Cebu Chapter would like to thank the officers and supporters who helped raised funds for the chapter and ASP Cebu Chapter President, Ms. Sandra Espina, for conceptualizing the event. ASP Chapters continue to work hard to raise funds for projects and activities. Be an Angel for Autism. Donate to ASP Chapters. The time is now. 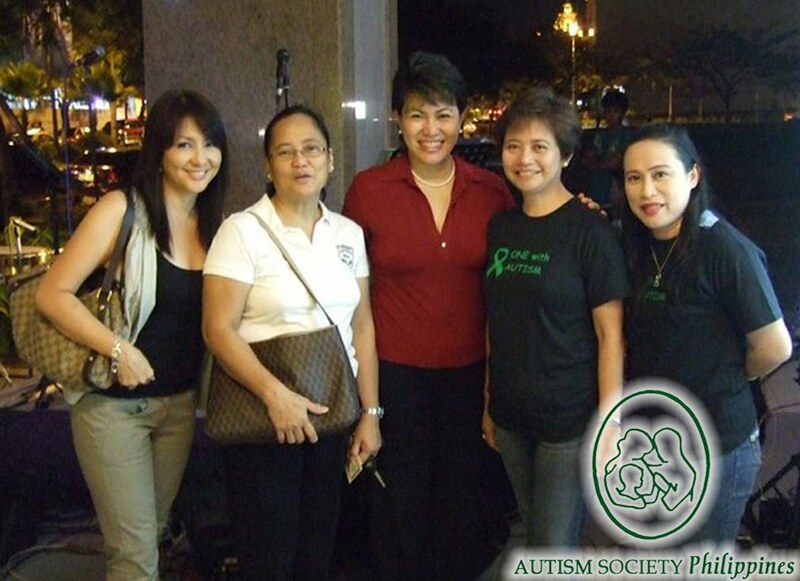 Log on to ASP Community Website or email us at autismphil@pldtdsl.net or call 9266941 / 9298447. Thank you for posting this, Teacher. I am so touched and am warmed especially to see Miguel's picture. Just to reaffirm your article, I myself had a blast. I think holding that dinner was a splendid idea for our kids had a chance to socialize and parents had a good bonding opportunity. It was a gathering of kindred spirits. Kudos!